Gonzalo Higuain is the world’s greatest striker, claims his former AC Milan team-mate Alessio Romagnoli. The Argentine striker ended a disappointing five-month loan spell in January after managing just six goals in 15 Serie A games. Higuain then opted to leave Juventus once more in another loan move to Chelsea in the Premier League, where he has reunited with his old Napoli boss Maurizio Sarri. 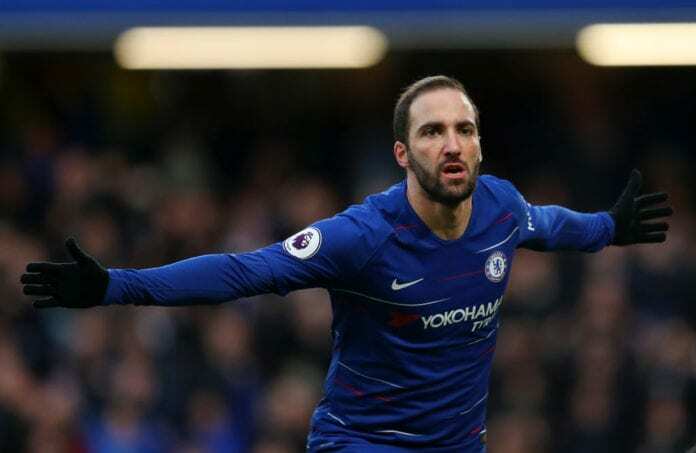 After a subdued first two games in England, Higuain netted a brace in Chelsea’s 5-0 win over Huddersfield Town in the Premier League. And now Romagnoli has announced that he rates Higuain as the world’s best striker. “No problem,” said Romagnoli via Calcio Mercato, when asked about Higuain’s departure from the San Siro in an event in Milan. “I still think he is the best striker in the world. I am sorry he decided to leave but we respect his decision. “He is a friend of mine and if he is happy I am ok with it. Now we have other players that won’t make us regret his departure”. Although Milan made sure they signed up a replacement in Polish striker Krzysztof Piatek from Genoa for a €35m fee. The 23-year-old has embarked on a stunning start at Milan with three goals in as many games. “We enjoy having him [Piatek] here and we hope he can keep scoring at least one goal per game,” said Romagnoli. 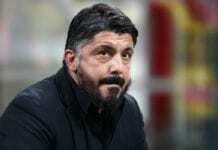 Next up for Gennaro Gattuso’s side will a home game against Cagliari, where three points is a must if they are to remain in the top-four of the Serie A and qualify for Champions League football next season. But Romagnoli is refusing to get too carried away at this stage of the campaign. “There are still many games left and we have plenty of things to improve. There will be many direct clashes and many games that seem easy but are not,” added the Milan captain.